The Eames DSX was designed in 1948 by Charles and Ray Eames for the MoMA New York's "Low Cost Furniture Design" competition. The Eames DSX is the simplest of the Eames plastic chair collection and realises the functional, affordable and flexible demands of the period in a way that means it remains as contemporary and relevant today as then. Progress being what it is, since Charles & Ray Eames created their plastic chairs in the 1950s, the average height of the average human has increased; consequently, Vitra have responded by adapting the design to meet the needs of contemporary customers and in cooperation with the Eames Office have increased the bases of chairs by 2 cm. 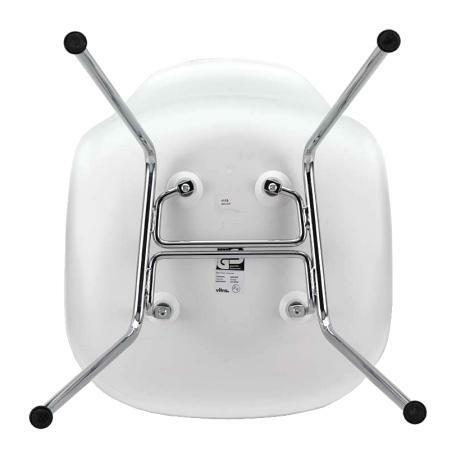 How resilient are the Eames DSX chairs? 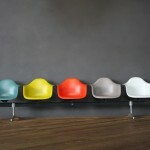 The Eames plastic chairs meet the "GS" norm and have been tested to carry a load of 110 kg. For the resilience of a chair however the sitting habits are just a important as the load capacity. Rocking on the back legs, for example, causes a very high load, which may shorten the life span dramatically. 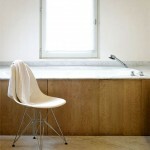 Is it possible to retrofit upholstery to an Eames seat shell? The Hopsak seat cushion are bolted to the seat shell. 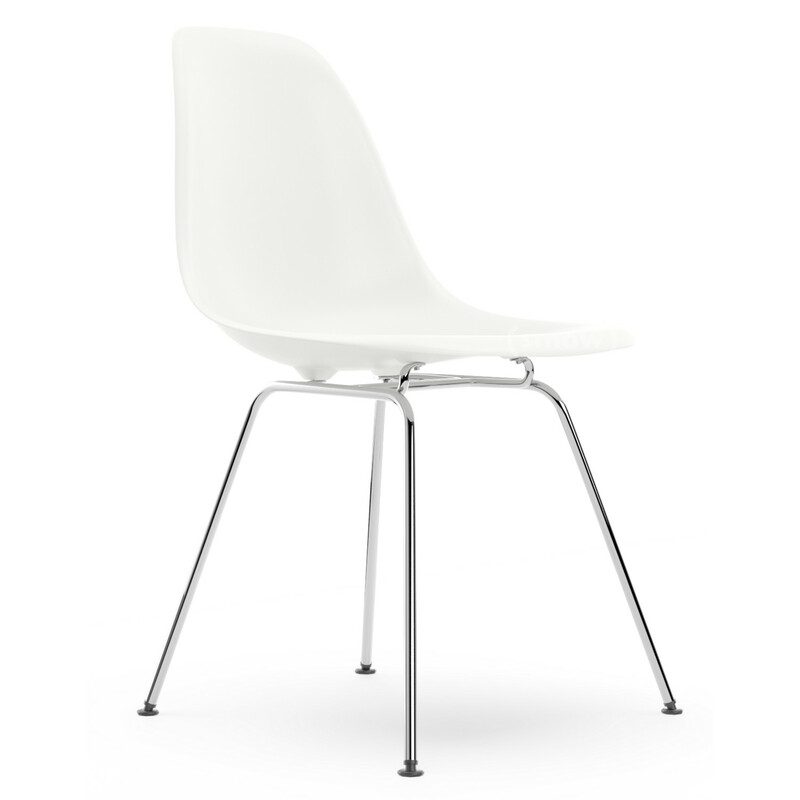 For the Eames side chair and armchair seat cushions can be ordered from Vitra, these should however only be fitted by experienced Vitra technicians as a special tool is required. 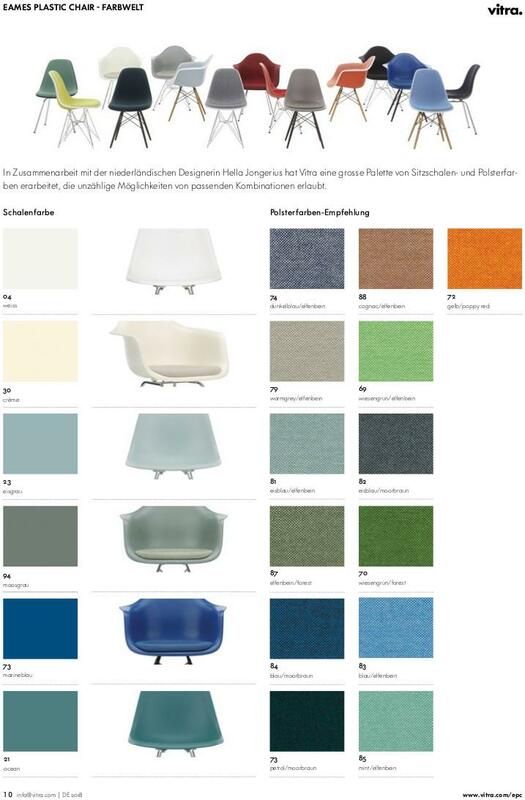 Alternatively we can offer seat cushions from Parkhaus in a range of colours and either padded or non-padded. In 1948 the Museum of Modern Art in New York initiated the "Low Cost Furniture Design" contest; a search for innovative designs which met the demands of the modern American lifestyle through functionality, affordability and flexibility. 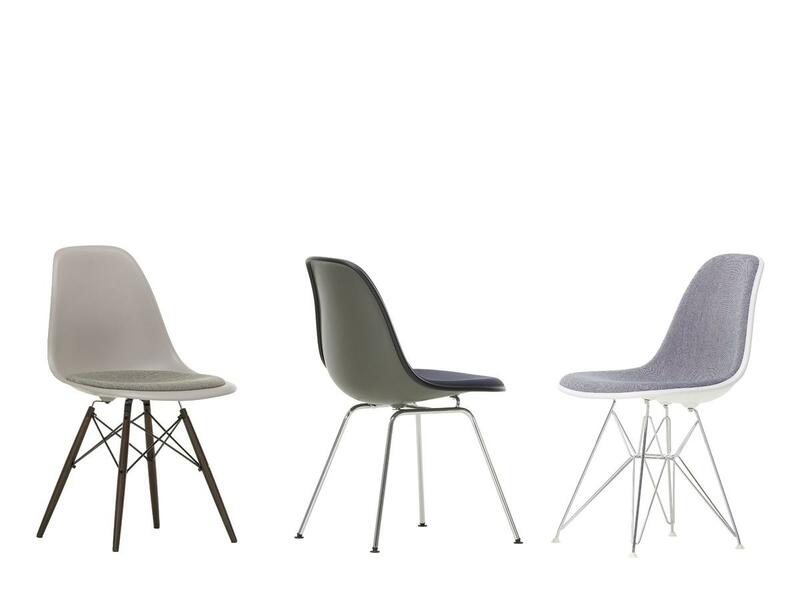 With his plastic side chairs family Charles Eames was among the winners. After much experimentation with different materials he had developed a one-piece bucket seat made of fibreglass reinforced polyester resin. 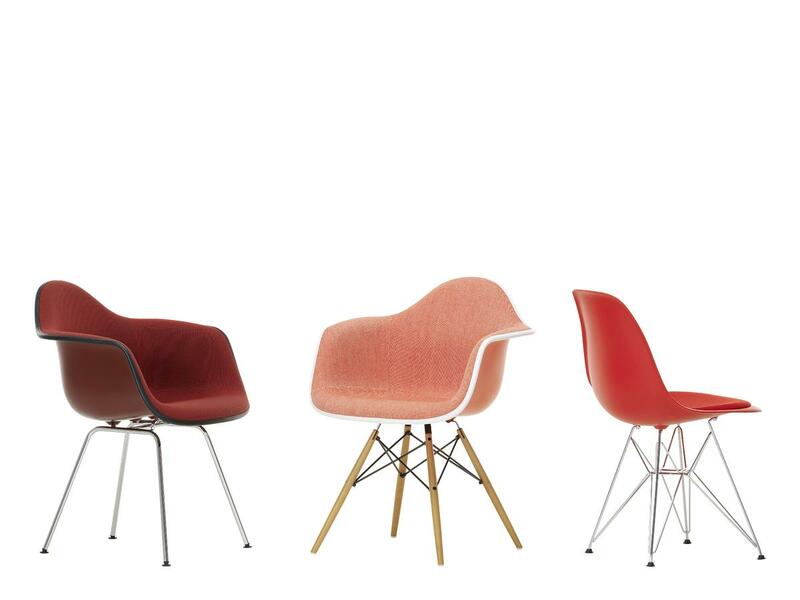 This combination of shape and material allowed the Eames side chairs and Eames armchairs to be produced in series. 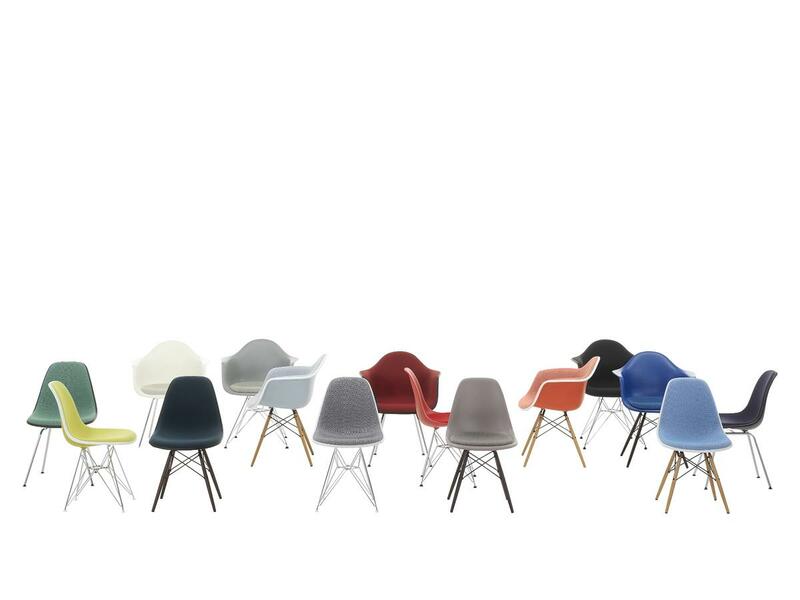 The Eames plastic chairs seat shells can be combined with different bases to create chairs suitable for all occasions and situations. 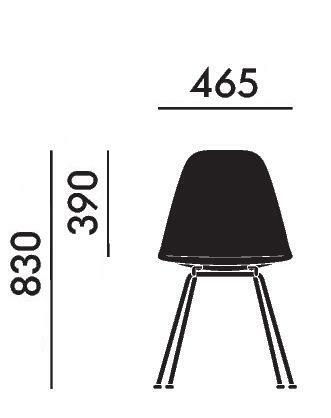 The abbreviation of the Eames DSX stands for Dining Height Side Chair with X-Base; i.e. 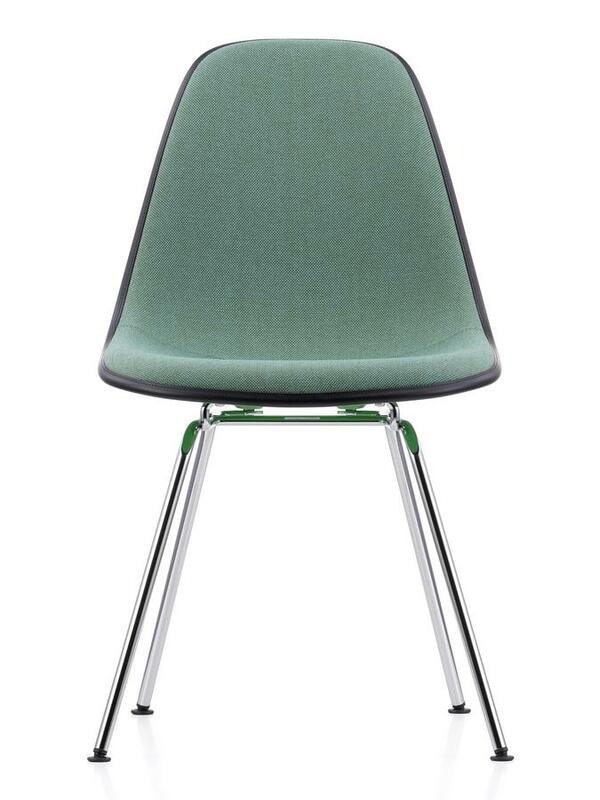 the slim shape of the side chair seat shell is combined with a simple four-legged steel tube base. 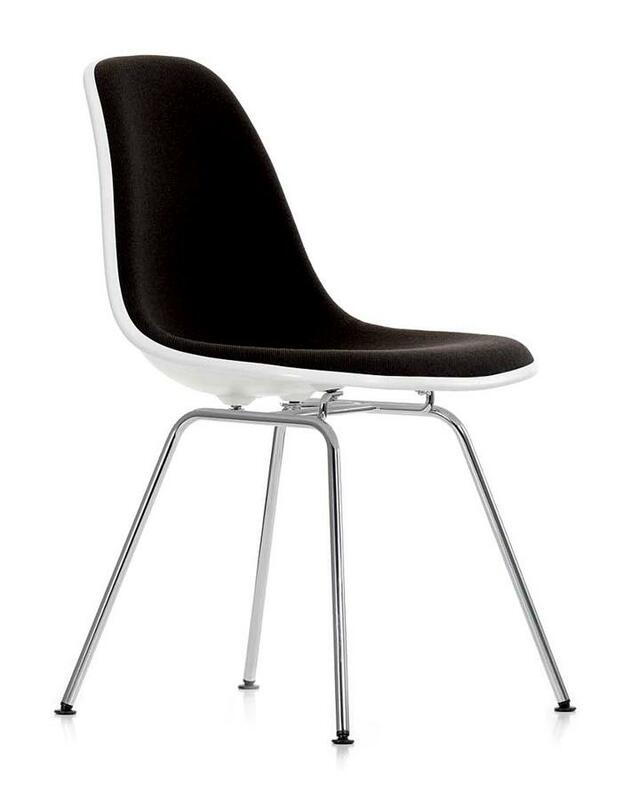 The original design from the Vitra DSX and the other Eames plastic chairs was created by Ray and Charles Eames from polyester resin reinforced fibreglass. The advantages of this, at the time revolutionary material, including flexibility and good mouldability. 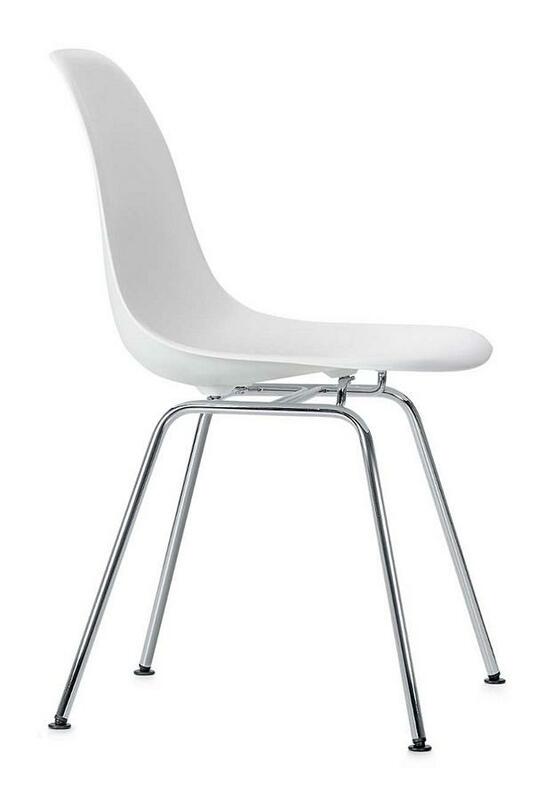 In addition fibreglass is pleasant to touch and allows production of chairs at a more favourable price. 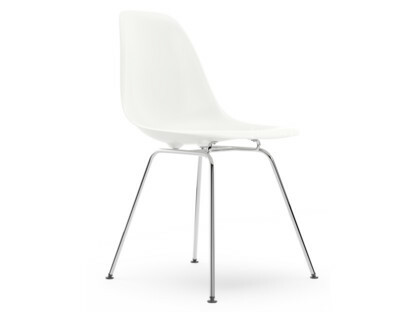 Until the mid-1980s, the Eames side chairs and Eames armchairs were produced in this form by Herman Miller in the USA and Vitra in Europe; however, in 1992 environmental concerns about fibreglass forced both companies to cease production. 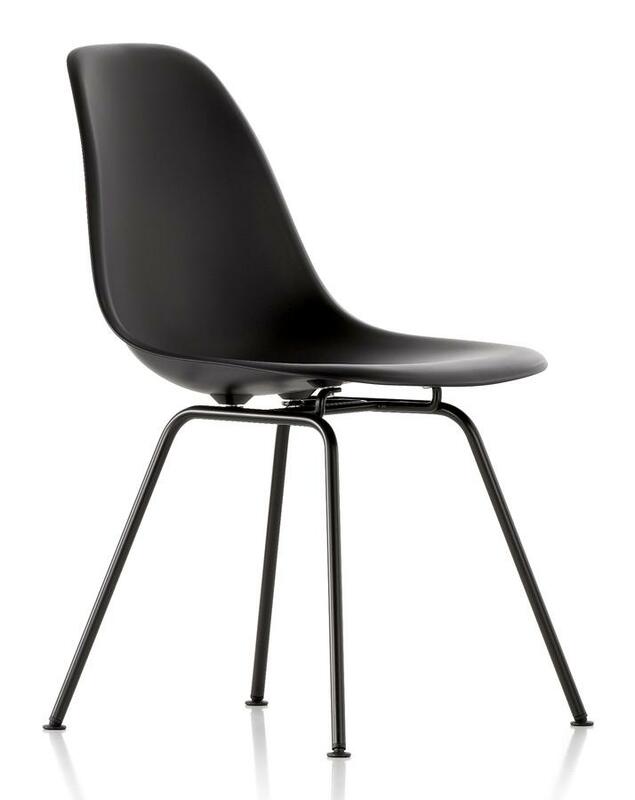 In 1999 production of the Eames plastic chairs was resumed, now however in the new material polypropylene, a material which allows the same flexibility and mouldability - but without the environmental concerns. 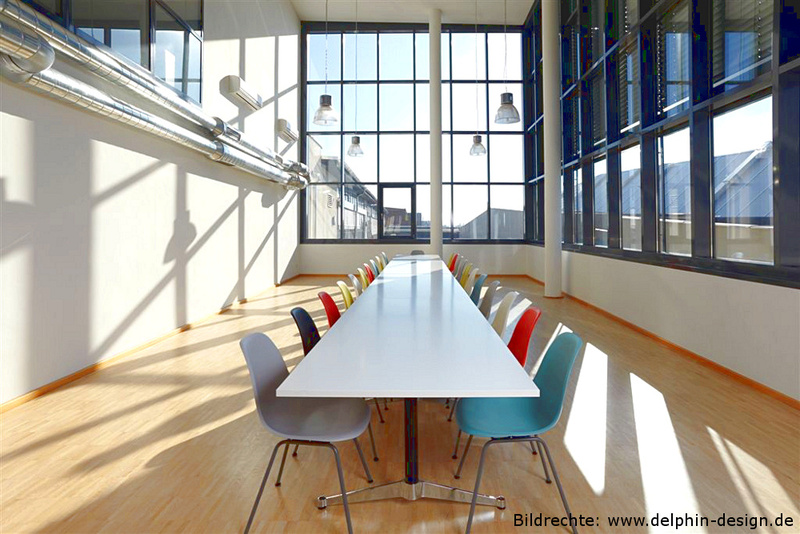 The Vitra Eames DSX Chair is available in eight different seat colours and two base variants and can optionally be provided with cushioning. 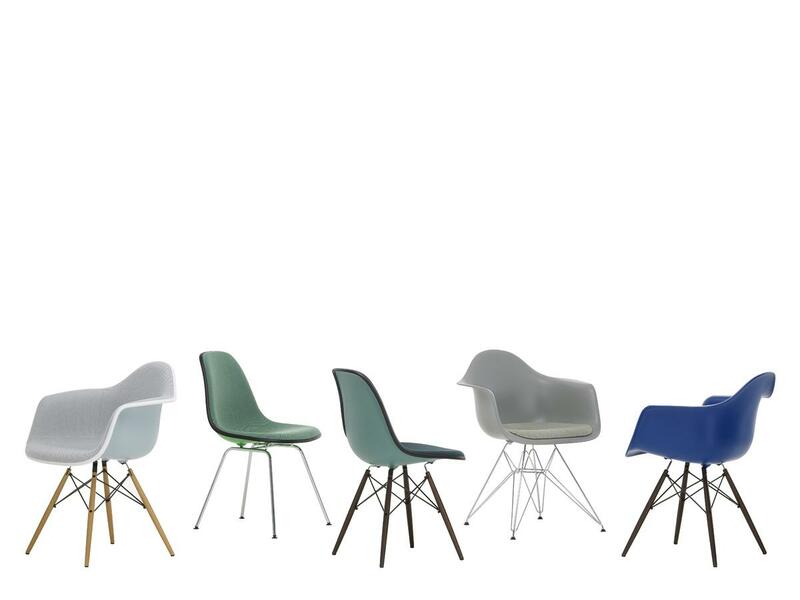 Today Charles & Ray Eames are principally known for their many pioneering furniture design. Yet their decade-long creative collaboration was not limited to one medium and in addition to the Eames furniture portfolio the pair also developed and realised numerous architecture, graphic, textile, film, photography and textiles projects. 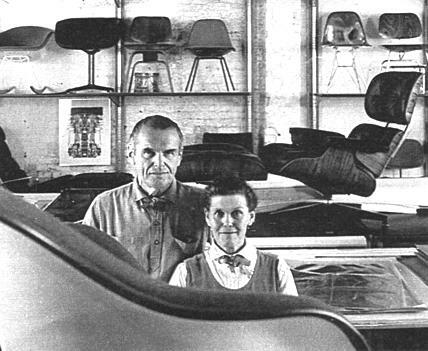 The beginning of their collaboration dates back to 1940 when Ray and Charles Eames met at the Cranbrook Academy of Art. In 1938 Charles Eames accepted a teaching position at the Academy, in 1940 Ray Kaiser, who had recently completed her painting studies in New York, arrived at Cranbrook for three month design course.In 1941 Ray Kaiser and Charles Eames married and moved to Los Angeles where in the following years they crated so man projects that would change our perceptions of our modern world. 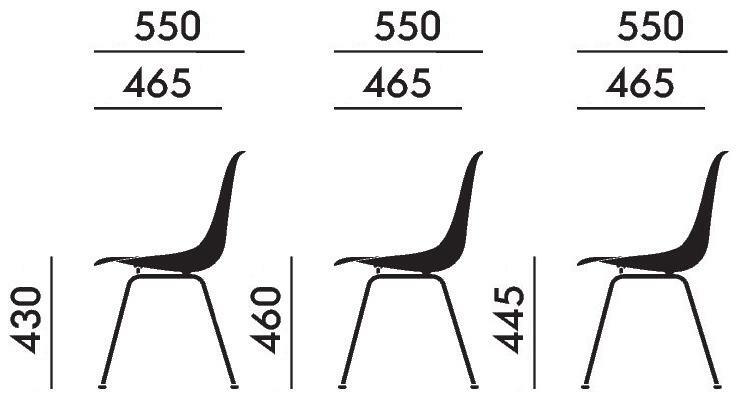 For all with the Eames plastic chairs family, including the Vitra DSX, they created objects true to their motto "The most of the best to the greatest number of people continuing the least,". The Eames Studio in Los Angeles remained in operation until the death of Charles Eames in 1978. At the very beginning of the Vitra success story stands the designs of Charles and Ray Eames. During a trip to America in 1953 Vitra owners Erika and Willi Fehlbaum saw an Eames chair in a shop window and were so inspired the couple sought permission from the US manufacturer Herman Miller to produce the designs in Europe. 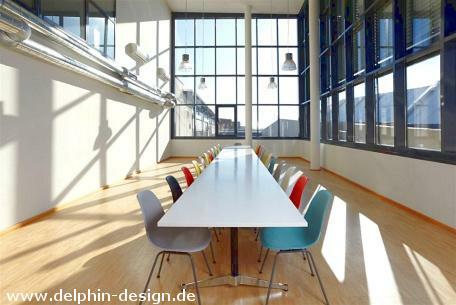 After long negotiations, the Fehlbaums acquired in 1957 the production licenses and in 1959 began with the production of the Eames DSX and the other plastic chairs chairs at their base in Weil am Rhein, Germany. 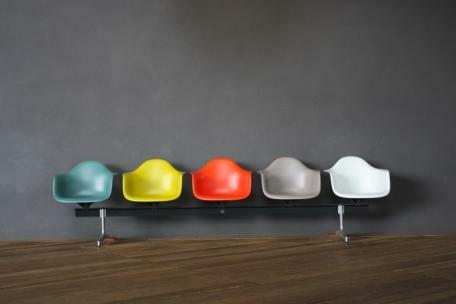 Vitra remains today the only licensed manufacturer of Eames furniture in Europe. But perhaps more importantly the decades of close cooperation with Charles and Ray Eames has significantly influenced the company, so much so that the couples understanding of design has become an integral part of the Vitra corporate company philosophy. The aim of the "Low Cost Design" contest was to draw attention to those innovative design and manufacturing capabilities which meet the new requirements of the post-war American society. These requirements were determined by the increasing demand for housing, a demand which was accompanied by rising rental prices. Furniture had to be flexible, affordable and capable of being produced en mass. So it should come as no surprise that Charles & Ray Eames plastic chair collection did well in the competition achieving second place. And even less surprised that they subsequently went on to dominate furniture design history. 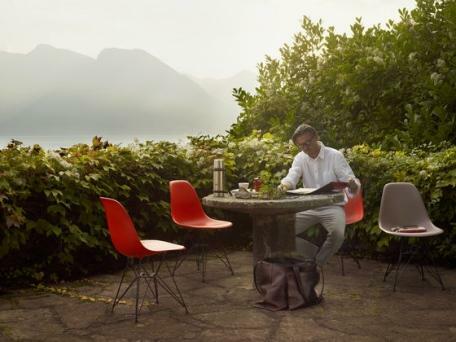 Depending on the choice of the frame the Vitra Eames plastic chairs can be used in the garden, the living room or office environments, a flexibility that made them as perfect for 1950s America as it makes then for our globalised 21st century society.